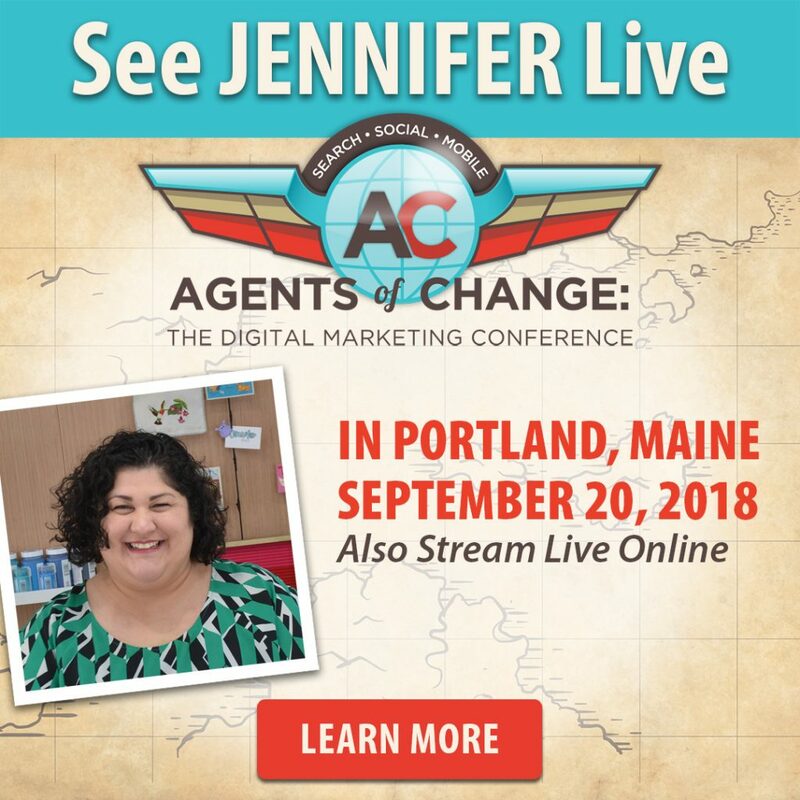 Join Jennifer Priest, LIVE, September 20th in Portland, Maine! Jennifer Priest is a social media strategist, speaker, influencer, and Crafts & DIY expert. With over 15 years of experience in social media marketing, email marketing, and content marketing, Jennifer has been named a 2016 Top Latina Blogger to Watch by NBCNews and is a top featured content creator for the largest influencer marketing firm in the US. Her work has been featured in major publications and online by the likes of Apartment Therapy and MSNBC. Jennifer’s digital marketing consulting firm, Smart Creative Social, has a prestigious client list across multiple creative industries, connecting influencers with brands, offering online and in-person training, and guiding clients in developing a solid social media strategy for their businesses. Jennifer brings a deep real-world understanding of how social media works as well as an appreciation for the challenges of solopreneurship, making her a sought-after speaker in both the handmade and blogging communities. Jennifer lives in Southern California with a multi-cultural family plus a clan of cats and two dogs. Discover new ways to think about your content and strategy on Pinterest to help your business more easily adapt to platform changes, algorithm updates, and more. You’ll walk away with actionable tips to move forward with a new Pinterest strategy today.